Working with Cheri, people learn to use everyday conversation to dramatically improve outcomes for their organization and relationships. Leaders and team members develop their capacity to use Appreciative Inquiry to foster productive and meaningful engagement, even when facing complex problems. The success her clients experience is not magic. Her approach is grounded in the most current research in positive psychology and neurophysiology. 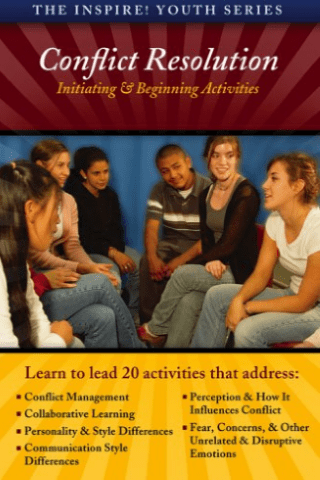 Leaders working with her learn to create the kind of relational dynamics that ignite the full potential of their teams and organization, resulting in high performance, innovation, and goal achievement. Culture change and strategic planning become opportunities for engaging all stakeholders in conversations that create change from the inside out. She has worked across all sectors: corporate, government, education, and social profit/NGOs, supporting their capacity for learning and innovation, shared leadership, teamwork, and collective impact. 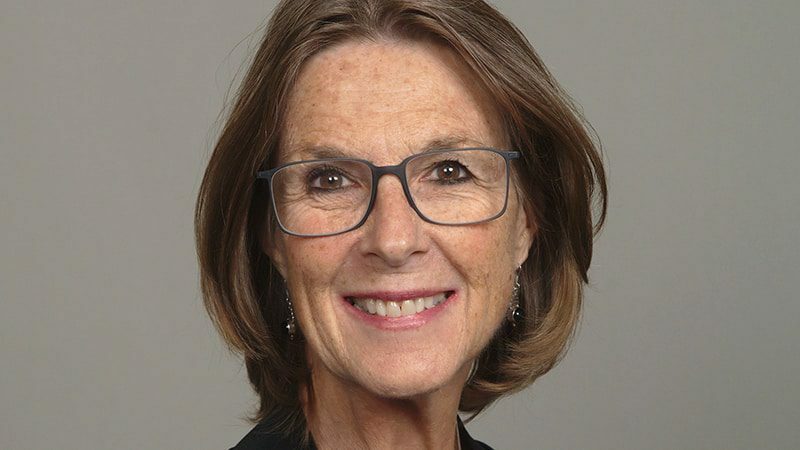 She has trained thousands of trainers and teachers in the use and practice of Experiential Learning, Appreciative Inquiry, and other strength-based processes. In addition to North America, she has worked in India, Mexico, Canada, South America, and Europe. In 2009, Cheri founded Collaborative by Design, reflecting her commitment to collaborate with clients and other consulting groups for positive change. She currently is a founding partner or Associate with a number of such groups, including NextMove, Corvo Consulting Collective, Innovation Partners International, Insight Shift, the Taos Institute, the Center for Appreciative Inquiry, and UniteWNC. Cheri holds a Ph.D. in Educational Psychology with a specialization in Collaborative Learning from the University of Tennessee. She also holds an MBA, a Masters in Transpersonal Psychology, Level 2 certification in Cultural Transformation Tools/Barrett Values Centre, and Level II certification in Spiral Dynamics Integral. 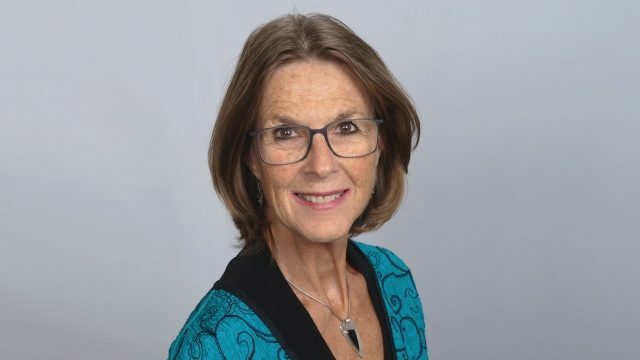 She has authored numerous books and articles including The Appreciative Facilitator: Accelerated Learning Practices and Dynamic Relationships: Unleashing the Power of Appreciative Inquiry in Daily Living. 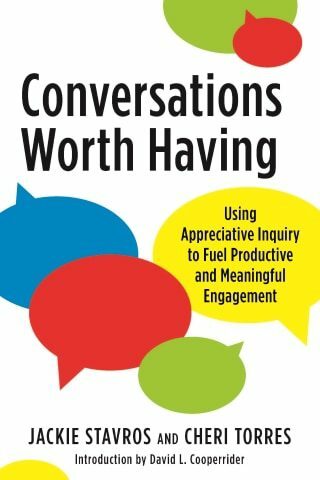 Her upcoming book, Conversations Worth Having: Using Appreciative Inquiry to Fuel Productive and Meaningful Engagement, will be published by Berrett Koehler in May 2018. She co-designed and patented Mobile Team Challenge, an award-winning, portable low ropes course. She lives in Asheville, NC, with her husband, Michael; their two dogs, Logan and Annabelle; and two cats, Ziggy and Lucy. 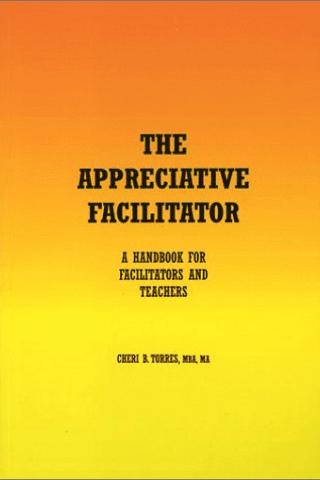 Cheri Torres has trained thousands in Appreciative Inquiry and Facilitation, and authored or co-authored numerous articles and books, which direct people to opportunities for extraordinary contributions. 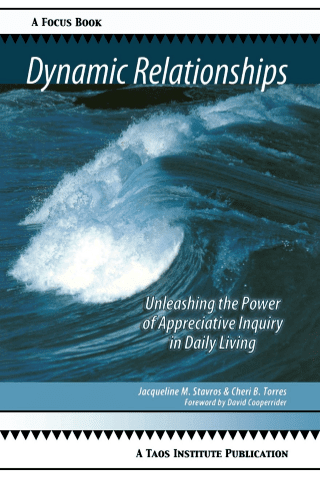 Her newest book (with Jackie Stavros) is Conversations Worth Having: Using Appreciative Inquiry to Fuel Productive and Meaningful Engagement. Cheri Torres works with organization and community leadership across the globe to design for full engagement, and provides strategies for people to expand their capacity to take advantage of new opportunities. 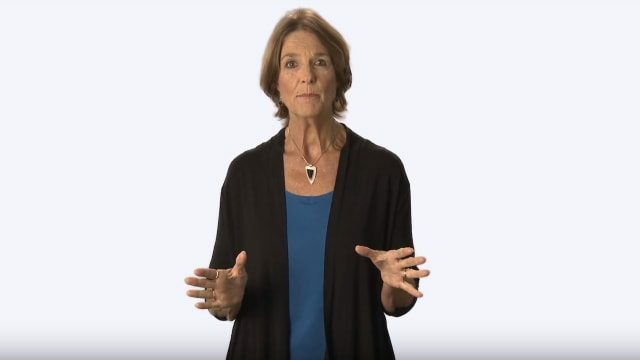 Her training and coaching programs are uniquely designed for immediate and long-term impact, focusing on changing workplace practices rather than people.